The Partnership will involve Mission Room supplying technology to enable NTAR to capture 360° video of real world situations, produce immersive training media and let students experience this in a 3m Mission Room Arena system. 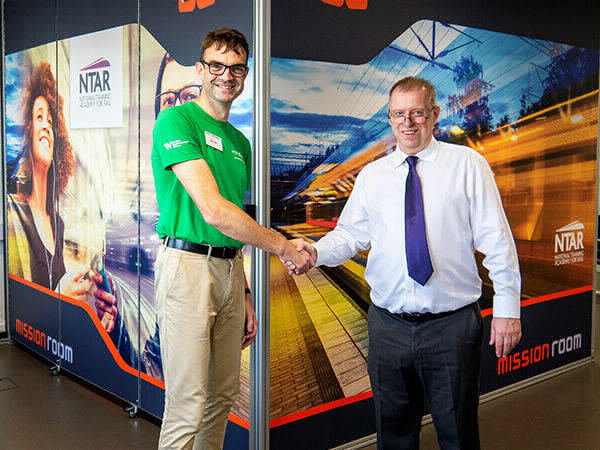 Mission Room and Greater Anglia partner to ensure that the UK wide station surveys, required for the arrival of new rolling stock, are completed on time with innovative use of 360° geo-referenced video. The technology is saving both time and money as well as positively impacting employee safety and de-risking the project. With the introduction of new rolling stock, Greater Anglia were required to carry out station and platform surveys, which detailed platform by platform analysis to identify the various challenges or risks posed by the arrival of 3 new types of train on the UK rail network. Given the time frame permitted, the time required to complete manual surveys was prohibitive. Greater Anglia selected Mission Room to support the completion of the surveys without the need for a physical on-site survey. Using Mission Room’s 360° multi-camera technology on scheduled trains running at line speed, they were able to quickly capture the footage of multiple stations. Mission Room software enables a ‘street style’ view of all required aspects of the platform with the functionality to easily navigate and mark the footage and quickly produce work packs with the required output. Paul Stanforth of Trainways Limited - The solution developed “saves considerable time and resource not having to visit each station and carry out manual assessment”. The software allows the virtual placement of new trains and the full assessment of any risk without the need to go on site and the footage can be reviewed from anywhere to determine the most appropriate output. The £1bn project by Network Rail aims to electrify over 300km of routes in the North-West, providing better connectivity, faster journey times and improved capacity on routes. 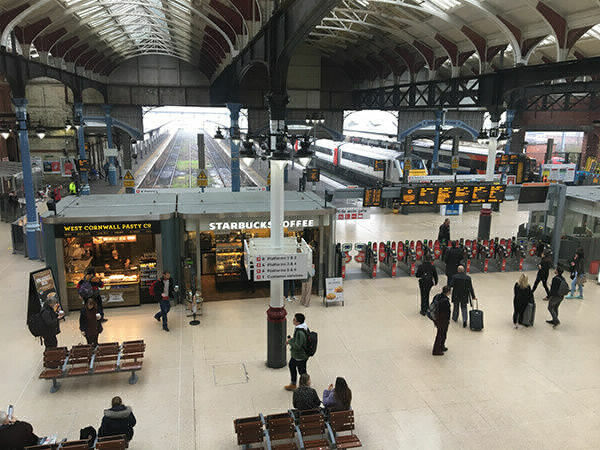 The upgrades will enable over 3.5 million extra passenger journeys a year and contribute economic benefits worth more than £4bn to the region. The NWEP project is scheduled to be completed in 2019. The team at NWEP need access to track in order to inspect the condition and location of various route assets. This often presents problems, as access to track is difficult. Track walkouts are both hazardous and costly and when staff do get access to track, they have limited time to collect all the relevant information. Mission Room have completed route filming and processing on a quarterly basis for two years, then using the four Mission Room displays and the Mission Room Explorer software, the team were able to bring their track into their office. This enabled them to virtually travel to all of the assets on their route and carry out relevant inspections. They could then mark-up site images and send information to their online collaborative workspace. After installing Mission Explorer, the team at NWEP have spent less time and money on site visits. They also gained a clearer understanding of their site by having the track footage completely accessible at all times within a number of project offices. 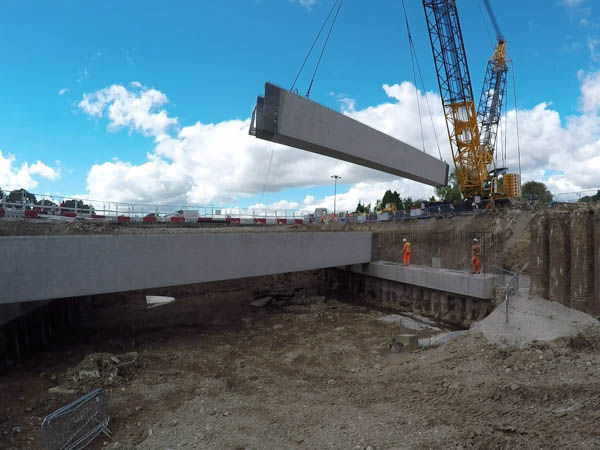 The A6 MARR Project was a complex highways project including a combination of new build, green-field development and railway interaction that involved 3 local authority clients, two major contractors and numerous sub-contractors and consultants. 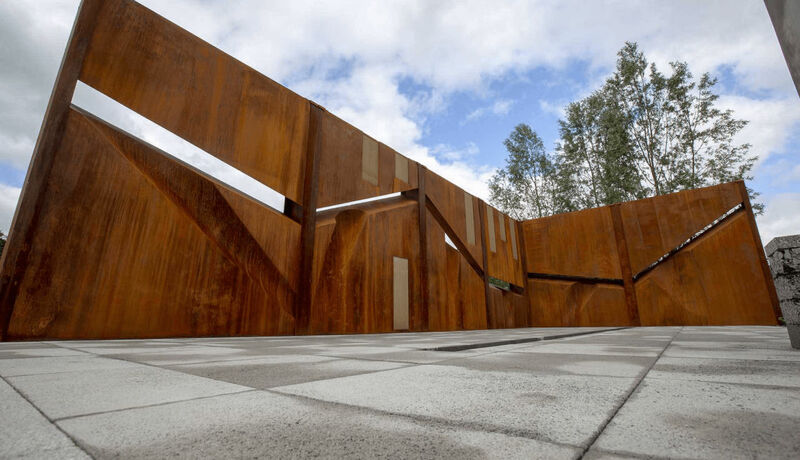 The site was complex, presenting new visitors with safety issues that were constantly changing, providing issues for visitors/workers returning to site. Mission Room provided a Hybrid display system and a Desktop system to the main site offices to enable both induction and planning activities to be carried out. The systems were also used to explain the project status to interested stakeholders, including local residents and the local authority clients. An immersive capture system was provided to enable the client to upgrade and review footage. The A6 to Manchester Airport Relief Road Scheme (A6 MARR) provides 10 kilometres of new dual carriageway on the East-West route from the A6 near Hazel Grove to Manchester Airport and the link road to the M56. The project involved a joint venture between Carillion and Morgan Sindall. Mission Room completed a successful trial at the bmJV project based at J18 of the M1. bmJV have primarily been using the system for training and inductions to improve the safety practices of workers going out on-site. The project, a joint venture between Morgan Sindall and BAM Nuttall, has been upgrading the M1 between J15 and J18 and marks a successful Mission Room debut into the highways sector. Following the successful trial of Mission Room at the bmJV project M1 J18, the same consortium have purchased Mission Room technology for the final phase of their Smart Motorway project at J39 of the M1. Workers at J39 will now have the benefits of immersive inductions, toolbox talks and the ability to plan more efficiently using the Mission Explorer software. 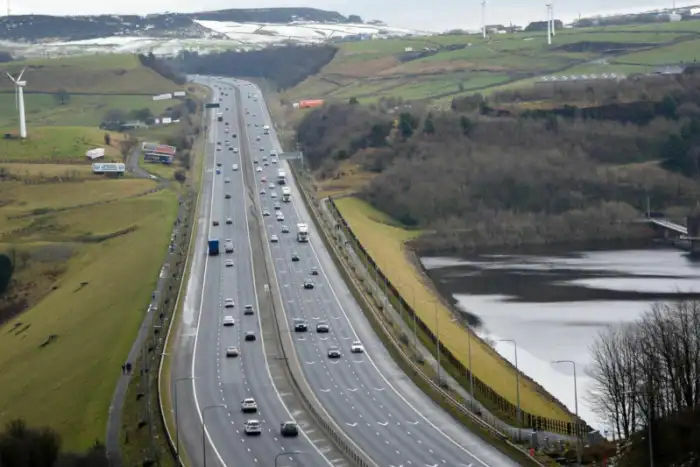 The project involves converting the hard shoulder to a permanent traffic lane along an 8-mile stretch of motorway between J39 and J42. Variable mandatory speed limits, displayed on overhead and verge-mounted signs, will help smooth the flow of traffic and reduce congestion. Highways England have highly commended Speedy Services, BAM Nuttall and Morgan Sindall for their use of Mission Room technology on major highways projects. The award came in the ‘Safety, Health & Wellbeing’ category of Highways England’s Supply Chain Awards. 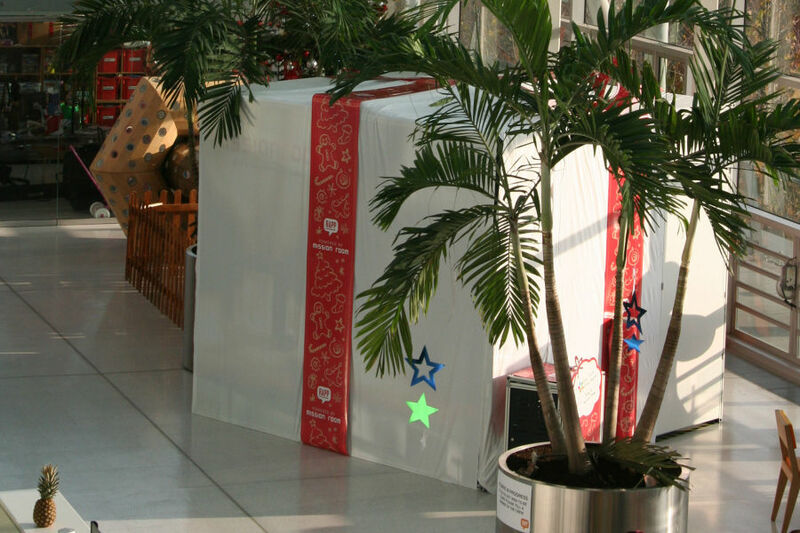 BmJV were recognised for adopting Mission Room training on M1 projects, both at junction 18 and junction 39. Using our immersive technology, they were able to educate workers about worksite risks and hazards without the need to conduct real site walkouts. The award is further proof of the successful partnerships we have established with bmJV and Speedy to deliver a safer and more efficient workforce. 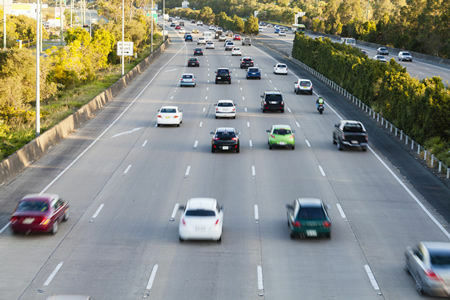 A strong approach to safety is at the centre of Highways England’s vision, having recently outlined plans to target a 40% reduction in the number of people killed or seriously injured on their network. Managing Director Dr Bryan Denby said, “The Safety, Health & Wellbeing category is one of the most important so to get Highly Commended in our first year is really very positive”. This is now the second time Mission Room have been recognised by Highways England in the last six months, following on from a Blue Star Safety Award last year. These awards are testament to the impact we have had on the highways sector within the past twelve months. Following the successful completion of the M1-A5 Link Project, where Mission Room was used to assist with site induction, in 2019 a Hybrid system was reinstated on the M6 J13-J15 Smart Motorways Project for Kier Highways, working on behalf of Highways England. The proposed use of Mission Room is to be used for a combination of project and safety inductions as well as to assist with design visualisation. The Project also has access to immersive route filming technology and Mission Room is providing immersive route processing services across the busy 16 mile stretch of the M6. The Project has a total value of £225M and is expected to be complete by December 2022. It forms part of the huge Highways England programme to streamline traffic flows on the UK motorway network. 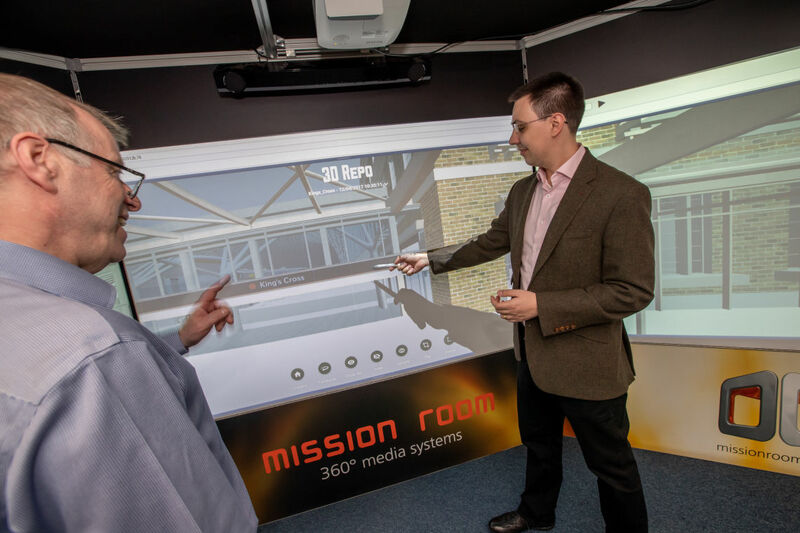 3D Repo and Mission Room launch a new integration allowing 3D Repo’s cloud solution to be used directly within any of Mission Room’s 360° visualisation products. 3D Repo, developers of a market leading, cloud based, Digital Construction Platform, and Mission Room, creators of innovative 360° capture & visualisation solutions, are delighted to announce a strategic partnership to help the industry better collaborate on digital infrastructure projects. 3D Repo and Mission Room are launching a new integration which will allow 3D Repo’s cloud solution to be used directly within any of Mission Room’s 360° visualisation products. This includes the latest Arena display which allows multiple users to have a shared experience within a fully immersive 3x3 metre cube. Uniquely, the latest version of this visualisation solution also features touch enabled walls adding an innovative new dimension to shared immersion not seen in any other product previously. With the latest version of the 3D Repo v3.0, users can access any of their 3D models directly from the cloud within any of Mission Room’s products. This ensures that the latest project information is always available and also allows for real-time collaboration regardless of location. Using 3D Repo and Mission Room, engineers can quickly run real-time co-ordination and review exercises within the shared environment for tasks such as data analysis, issue tracking, clash detection and model differencing. This combined platform supports all major Computer Aided Design (CAD) and Building Information Modelling (BIM) formats including IFC, Autodesk Revit and Navisworks as well as Bentley DGN among others making it suitable for all projects in the built environment including buildings, civils and infrastructure. Under a £25m deal, Skanska delivered a raft of completely new facilities for the school’s 1,500 pupils. The project’s 90-week build programme saw the school ready for staff and pupils to move into at the beginning of term. Mission Room supplied a 3x3m Arena display system to allow the team to effectively step inside and walk through a digital rehearsal of the project, giving them the opportunity to collaboratively review survey data, easily identify clashes and quickly resolve potential issues. Mission Room created 3 separate productions for the Institute of Quarrying’s 100th anniversary. They used Mission Room 360° technology to convey the environmental story in quarrying, the story of the Quarry Garden project that was exhibited at Chatsworth house as part of the Chelsea Flower Show and finally to represent quarrying over the past 100 years. 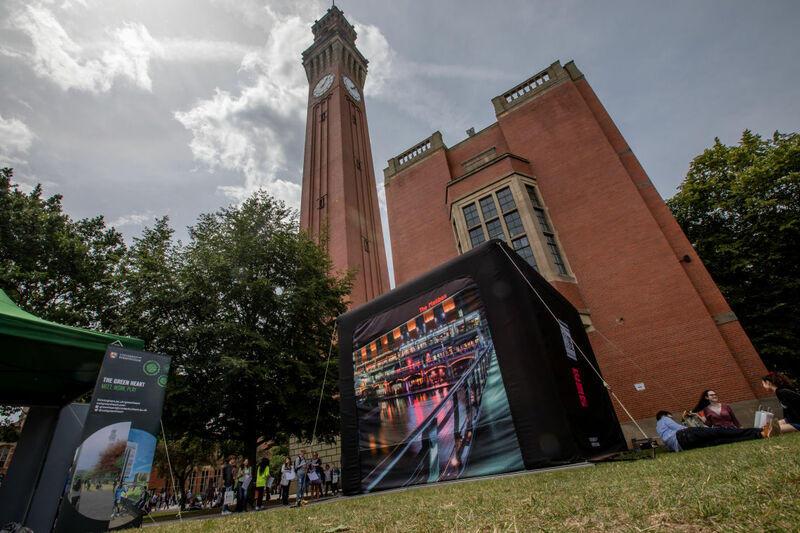 Mission Room have been supporting Birmingham University's marketing activities since September 2015 allowing prospective students to 'virtually' visit the city centre. The University found that the main setback for prospective students choosing the University of Birmingham was their negative perception of the city. It was particularly difficult for the University to challenge these perceptions throughout their open days as students would generally only visit the campus and not the city. Mission Room teamed up with the University to create a 360° experience that transported students into the heart of the city. The two-minute video allowed them to explore some of Birmingham city’s scenic areas and hidden gems without having to step foot outside the campus. Teaming up with marketing agency RAPP, Mission Room created a virtual room where children could be transported out of their hospital surroundings without even needing to leave. Using our Arena display and immersive footage, they could stand on the moon, explore underwater coral reefs, take a ride in a hot air balloon and even step back in time to see dinosaurs!